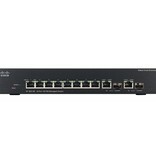 Cisco SF302-08MP, 10 port Cisco Power-Over-Ethernet switch for use with myMix systems. Will power up to 8 myMix via POE. 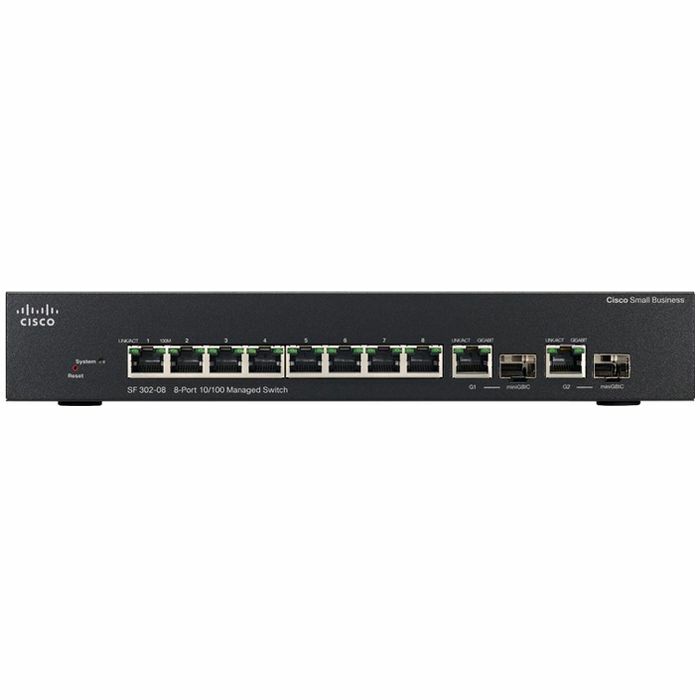 There are two ways to use the GB ports: 1) Port G1 (non-POE) for connecting additional myMix system devices and G2 configured as uplink for connection to other myMix switches, 2) or both GB ports as uplink to use a Power8 switch as center in a star configuration with two other switches. Power8 includes a power supply and rack mount kit (1RU). Fanless operation.